Things that are small & grown in Imperial Beach (the series continues). Sometimes a day involves burying dead chickens and stripping lemon verbena for tea. 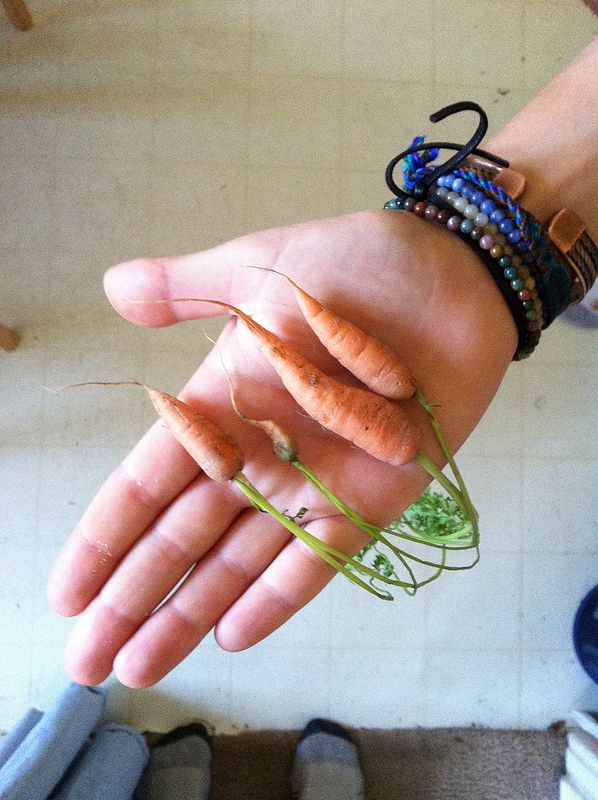 Sometimes that day also brings the tiniest of tiny carrots into your life. For me, that day was Wednesday. 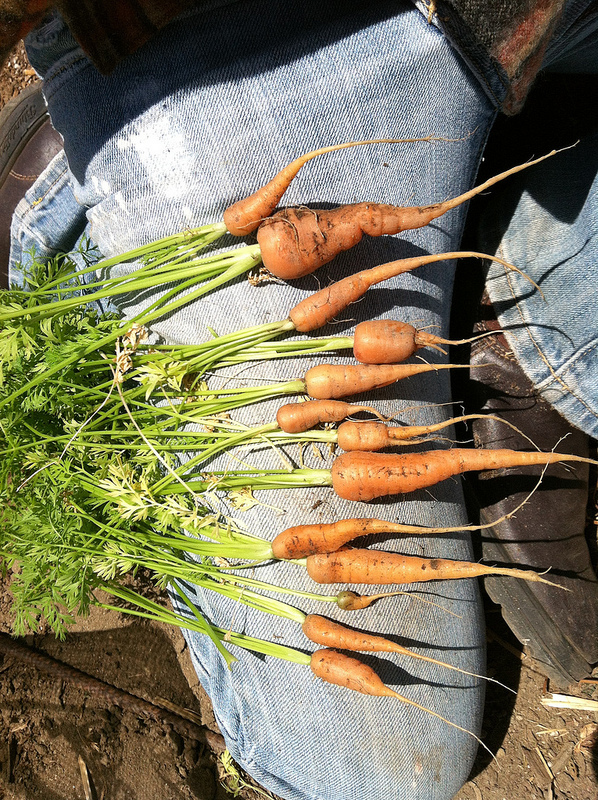 I was harvesting carrots for lunch with Misha and pulled out a handful, including the tiniest of tinies! Here’s a shot of the smallest four, which I brought home (the others were eaten in a salad). Then, on Thursday, I planted melons and lettuce and stacked onions for drying. 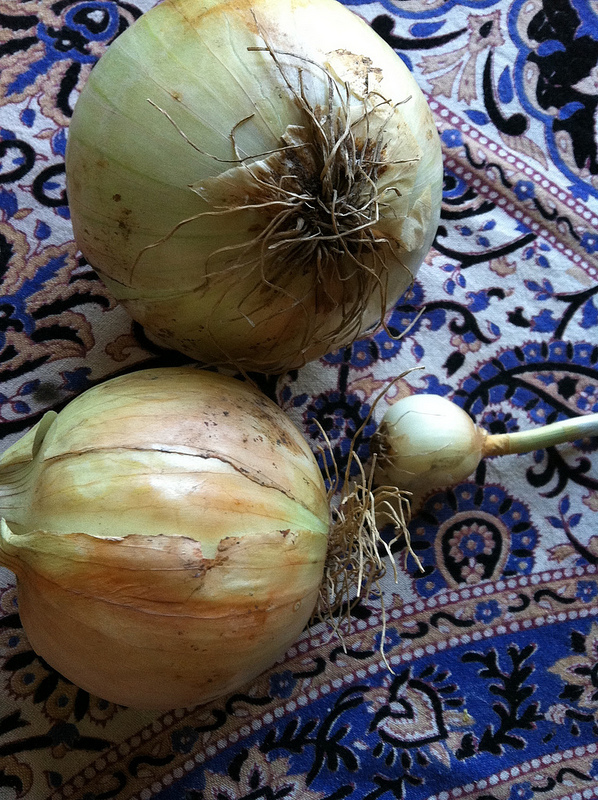 And found a small onion for this project. Then, while looking through photos, I found this one that Misha took last summer, where my face is big and shiny and strange looking. But look what I’m holding! 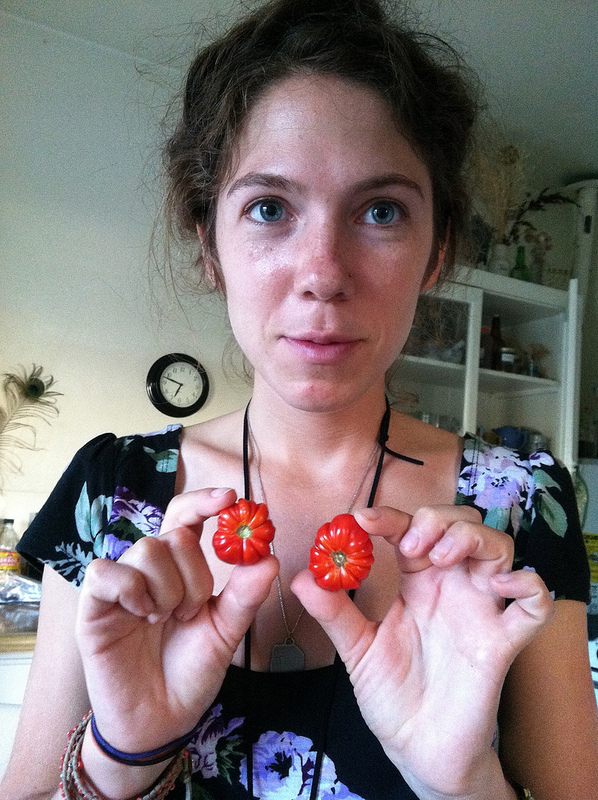 Onions & tomatoes come from Suzie’s Farm; the carrots are from Wild Willow. Stay tuned for more tiny tinies!! Previous Things that are small: farmers’ market edition (photo series) (mine). Next Honey & elderberries (small things photo).